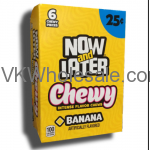 Now and Later candy squares are full of fruit flavors. 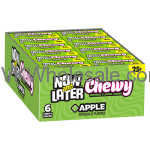 Enjoy the fruit flavor in colorful square candy. 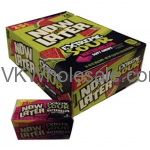 We carry different kinds of now and later candy flavors. 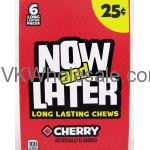 These Now & Later candies you can sell at your conveninece stores, gas station, liquor store and/or dollar store for 25 cents. 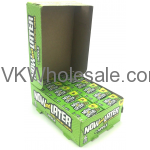 One of the best selling candy in the market since years. 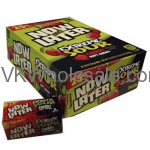 Purchase Now & Later candy wholesale at discounted price. 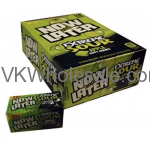 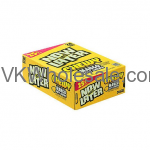 Minimum quantity for "Now & Later Candy Extreme Sour Watermelon Soft 24/6 PCS Bars" is 1. 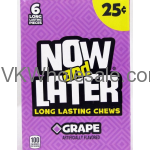 Minimum quantity for "Now & Later Candy Grape 24/6 PCS Bars" is 1. 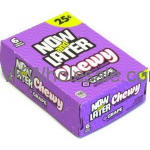 Minimum quantity for "Now & Later Candy Grape Chewy 24/6 PCS Bars" is 1. 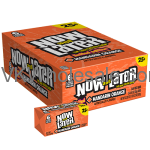 Minimum quantity for "Now & Later Candy Mandarin Orange 24/6 PCS Bars" is 1. 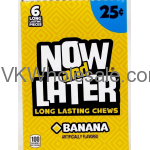 Minimum quantity for "Now & Later Candy Mango Chewy 24/6 PCS Bars" is 1.